Shopping for a new Genesis G80? For around $45,000, a Genesis G80 3.8 is a strong value. The 2019 Genesis G80 strikes a commendable balance between luxury, performance, and value. 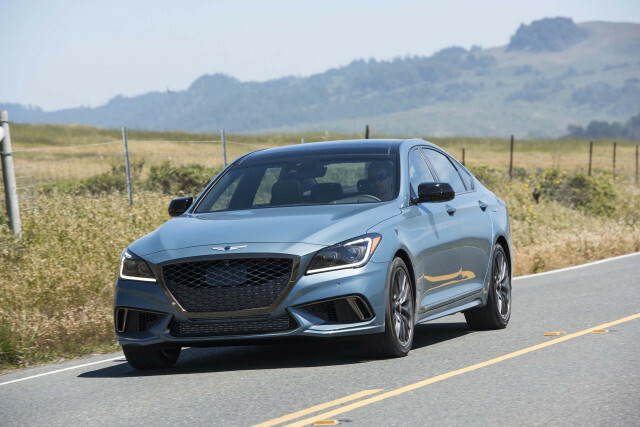 The 2019 Genesis G80 is a mid-size luxury sedan that counts strong engines and a stellar safety record among its assets. Genesis hit the mark when its G80 bowed a couple of years ago, but a limited dealership network means this sedan may fly under the radar until the automaker can sign more showrooms to its roster. Hyundai launched its Genesis luxury brand a few years ago, but a new mandate to elevate the buying and owning experience to Lexus levels meant that the number of dealers shrunk considerably this year. 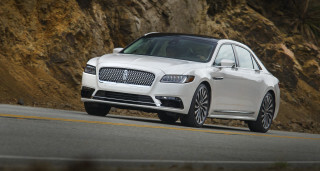 Those who do seek out a G80—in base, Sport, or Ultimate trims, depending on engine—will find a well-mannered, high-value sedan that emphasizes coddling over track-ready driving dynamics. For most buyers, that balance will tip in their favor. This year, the Sport package with its zippier looks and bigger wheels is newly available with the base engine and the G80’s standard infotainment system features new software. The base Genesis 3.8 makes use of a 311-horsepower V-6 for about $43,000, while the $56,000 Genesis 3.3T uses a twin-turbo V-6 rated at 365 hp paired to an adaptive suspension. The 420-hp, V-8-powered Genesis 5.0 can crest $60,000 with options but provides a thrilling soundtrack and coddles with luxury. The twin-turbo V-6 model can feel stronger in routine driving, but we prefer the V-8’s softer ride. Available in rear- or all-wheel drive, the G80 features a slick-shifting 8-speed automatic transmission. The G80’s subtle looks mask a plush interior with standard leather upholstery and wood trim. Dressier models feature softer nappa leather and can be fitted with a thundering 17-speaker Lexicon audio system. No matter the trim, all feature at least an 8.0-inch touchscreen with navigation and Apple CarPlay and Android Auto compatibility. The front seats are all-day comfortable, but taller rear-seat riders may wish for more room. Active safety tech is standard across the line and the G80 earned top crash-test marks from the IIHS and the NHTSA. The 2019 Genesis G80 has subtle, clean styling that won’t attract too much attention. A big, shield-like grille up front gives the 2019 G80 presence matched by a strong shoulder line. 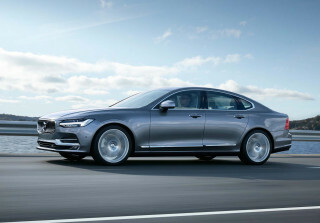 The clean tail trends toward generic, however, and may not do enough to stand out against more evocative designs such as the Audi A7 and Mercedes-Benz E-Class. All G80 sedans feature either 18- or 19-inch alloy wheels that give them a bucks-up look. Inside, the G80 is an exercise in simplicity without feeling stark or spartan. Its well-organized dashboard puts controls high, grouped around either a standard 8.0-inch touchscreen for infotainment or an optional 9.2-inch unit in higher-spec versions. Genesis doesn’t match some rivals when it comes to a broad interior color palette, however. Buyers can opt between tan, black, or gray trim on most versions. A supple ride and a trio of strong engines help the Genesis G80 outperform cars costing far more. The 2019 Genesis G80 lineup is available with three engines and several options that give each version a distinct personality. The breadth of this lineup is remarkable. Base Genesis G80 3.8 sedans make use of a 3.8-liter V-6 rated at 311 hp and 293 pound-feet of torque. The base V-6 delivers strong, but not thrilling acceleration, and remains well-muffled even when pressed. The G80 3.3T Sport swaps in a 365-hp, 376-lb-ft twin-turbo V-6 plus a more buttoned-down suspension with adaptive dampers. The twin-turbo V-6 is a strong performer, though it’s considerably heavier than the base sedan. The twin-turbo engine can be quicker than the optional V-8 in the G80 5.0, though it’s not as refined. The V-8 delivers a muscular 420 hp and 383 lb-ft that provides buttery smooth acceleration. Regardless of what’s underhood, an 8-speed automatic transmission hurtles power to either the rear or all four wheels. Our favorite here is the base V-6, and not just because of its accessible price. The base car is lighter and handles better in most situations since there’s less weight over the front wheels. This year, much of the G80 3.3T Sport’s upgrades are optional on the base sedan, although the adaptive suspension dampers remain exclusive to the twin-turbo model. The G80 is at its best on the open highway. Even if the pavement underneath is rough, its supple suspension smothers bumps and potholes. Few sedans deliver as relaxing a personality as the 2019 G80. The spacious 2019 Genesis G80 coddles with luxurious trim, even on base models. Rear-seat riders could ask for more space given the 2019 Genesis G80’s footprint, but otherwise this luxury sedan delivers a comfortable, high-quality interior. The G80 comes standard with leather upholstery and heated, power-adjustable front seats. Glossy wood trim adorns its dashboard. Softer leather is optional on all but the base G80 and, depending on trim level, the shiny veneer can be swapped out for carbon fiber or a beautiful matte wood finish. The available 16-way seats feature adjustable cushion extenders, too. Rear-seat riders have 35 inches of leg room, which is good in the grand scheme of new cars but not exceptional for a mid-size luxury sedan. So too the relatively small 15 cubic-foot trunk, although its opening is wide and relatively low. The G80’s supple suspension takes bumps in stride and pairs with considerable sound deadening to keep the outside world, well, out. Stellar safety scores and standard collision-avoidance tech make the 2019 Genesis G80 a very safe choice. Short of only the most advanced self-driving tech available on some competitors, the 2019 Genesis G80 scores exceptionally well for its safety. The 2019 G80 comes standard with automatic emergency braking with pedestrian detection, adaptive cruise control, active lane control, and blind-spot monitors. Some competitors offer systems that allow limited hands-off driving, which earns them an extra point. Still, a five-star overall rating from the NHTSA that includes top marks in each test is commendable. 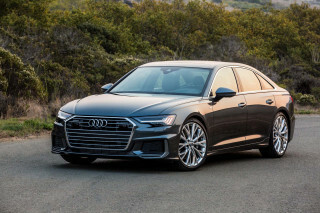 So too the IIHS’ Top Safety Pick+ score, which applies to G80 sedans with the LED headlights that are optional on the base model but standard with the twin-turbo V-6 and the V-8. The base headlights score “Acceptable” on the IIHS’ scale compared to “Good” for the LEDs. The 2019 Genesis G80 is a terrific value among luxury sedans. Starting at around $43,000, the base Genesis G80 hardly wants for luxury features against its far costlier competitors. The base 2019 G90 comes with leather upholstery, power-adjustable and heated front seats, wood trim, active safety tech, and an 8.0-inch touchscreen for infotainment with Apple CarPlay and Android Auto compatibility. For $5,700 more, the Sport package adds 19-inch alloy wheels and unique styling features inside and out. We think the nearly $10,000 Ultimate package is a better value, even though it’s expensive. The package adds nappa leather trim, 16-way power front seats, a synthetic suede headliner, an upsized 9.2-inch touchscreen, head-up display, surround-view monitor, and a panoramic power moonroof. The twin-turbo V-6 comes only with the Sport package and an adaptive suspension for about $56,000. Spend about $2,000 more and Genesis swaps in its V-8 engine and the full suite of Ultimate package gear. All-wheel drive adds $2,500 regardless of trim level. Genesis charges $60,500 for a G80 5.0 with all-wheel drive, but it’s on par with BMW and Mercedes models that tickle $80,000. Genesis’ dealer network is limited, but those that do exist are tasked with providing exemplary service like a valet to pick up a G80 in need of maintenance. The 10-year, 100,000-mile powertrain warranty and 3-year, 36,000-mile free maintenance are valuable assets, too. The Genesis G80 could be greener, especially with the optional V-8 engine. One place where the G80 trails some rivals is in fuel efficiency. 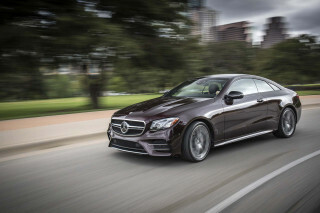 Its engines are on the large size for luxury sedans, which means they’re thirsty. The good news is that the base engine runs on regular unleaded, something we can’t say about rivals. The twin-turbo V-6 isn’t much thirstier at 17/25/20 mpg with rear-wheel drive and 17/24/20 mpg with all-wheel drive. With power comes thirst, and the G80 5.0 checks in at just 16/24/19 mpg with rear-wheel drive and 15/23/18 mpg with all-wheel drive. Turbo V-6 and V-8 versions are rated for premium fuel. 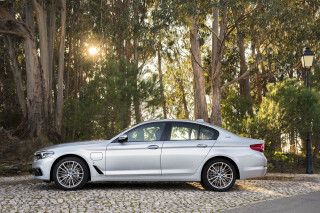 A comparable BMW 530i is rated at 27 mpg combined regardless of wheels driven, while even the least-thrifty Volvo S90 comes in at a commendable 25 mpg combined. Looking for a different year of the Genesis G80?